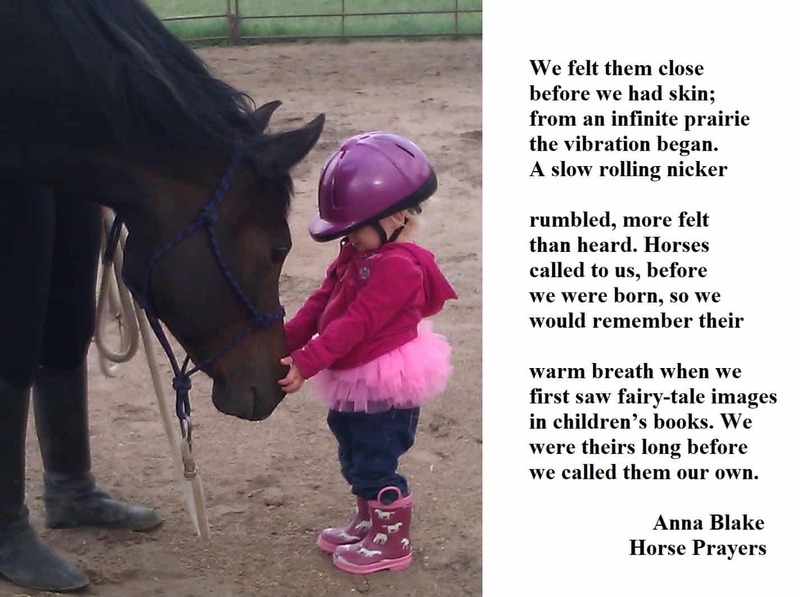 Horse Prayers, Poems from the Prairie. First there were hold-ups in the printing. Then distribution went sideways. There were lost orders. Ridiculous excuses and bald-faced lies. Not to mention that apparently using color photos added some wacky degree of difficulty. But look at this photo. How could I leave it (and forty-two others) out of this mini-coffee table book? and internationally at The Book Depository. Or get signed books directly from me. Early reviews are all 5-star. Leaving reviews online is the kindest nod you can give a book. Indie publishing depends on the kindness of readers. Thanks for your patience. Really, it’s available now. ← Calming Signals and Sensitive Noses. HORSE PRAYERS. Just the name makes me breathe deep. Every word is perfect. Thanks, Deb. Gotta say, I love that title, too. Anna’s book is out and easy to get to at my house. It is great for relaxing, daydreaming and praying for ourselves and our world. What an inspiration! Independence and freedom are the words that come to mind when I think of horses. Independence and freedom are what I value in my own life. Open it to any page for the colors and scenery of Colorado and the best parts of horse faces along with words that wake you up to what’s really important. What a treat for my mind and imagination! Thanks so much for the kind words, it’s nice to know the book is “out” in such an appreciative place. Diane, thanks for giving it a try.